The Dallastown girls’ tennis team has clinched a tie for the York-Adams Division I title. The Wildcats improved to 8-0 in division play with a 5-0 win over Gettysburg on Monday, Sept. 25. Dallastown can sew up its fourth straight outright division crown with a win Wednesday, Sept. 27, at Susquehannock. The Central York and Susquehannock golf teams finished off perfect York-Adams division seasons on Thursday, Sept. 21. At Hanover Country Club, The Panthers finished with a 302 total to beat second-place Dallastown by 30 shots in a Division I event. New Oxford was third at 334, followed by Spring Grove (349), Red Lion (357), South Western (432) and Northeastern (435). 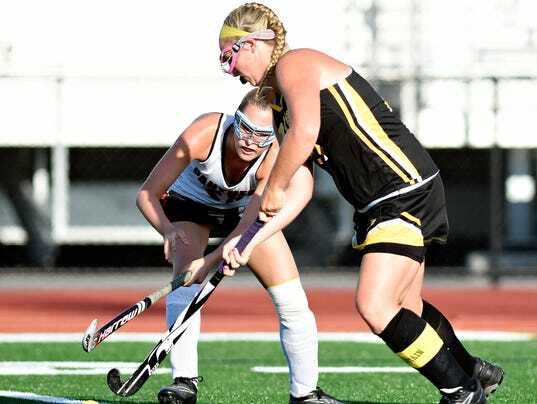 EMIGSVILLE — While losing is never a fun endeavor, the Central York field hockey team is putting some of the lessons from a tough weekend to good use. Those lessons were apparent on Wednesday, Sept. 20, when the Panthers played host Red Lion in clash of York-Adams Division I unbeatens. West York swept the doubles matches en route to a 3-2 girls’ tennis victory at Spring Grove on Thursday afternoon, Sept. 14. The Bulldogs received a singles victory from Audrey Kinney, while Sadie Mikula and Megan Hartlaub won the No. 1 doubles match and Sarah DePasquale and Chloe Hoover won the No. 2 doubles match. 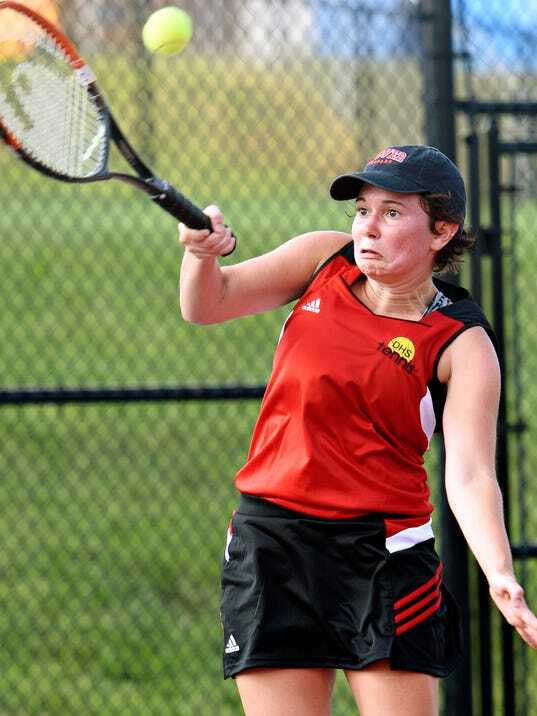 The Dover girls’ tennis team cruised to a 5-0 triumph over visiting Spring Grove on Wednesday. Alex DiGiovanni, Madisyn Weaver and Mary Teaford each won straight-set singles matches. Emily Ewing and Margaret Mailey won at No. 1 doubles, while Rylie Strausbaugh and Crimson Hogue won at No. 2 doubles. Dallastown 5, Red Lion 0: At Dallastown, the Wildcats received singles victories from Meghan Salaga, Morgan Kistler and Taylor Jones. In doubles, Rene Williams and Victoria Gruen won the No. 1 match, while Dani Schoeppner and Grace Heird combined to win the No. 2 match. Central York 4, Northeastern 1: At Central, the Panthers received singles victories from Maddison Mummert and Annika Rempp. Carolyn Snell and Sarah Kohr combined to win at No. 1 doubles, while Olivia Quartey and Daniella Fiestritzer combined to win at No. 2 doubles. For the Bobcats, Brynn MacDonald won at No. 3 singles. Hanover 3, West York 2: At Hanover, the Bulldogs captured two of the three singles matches but were unable to come up with the team win. Audrey Kinney and Evelyn Nguyen each won a singles match for the Bulldogs. Kennard-Dale 3, Littlestown 2: At Littlestown, the Rams received singles victories from Brianna Miller and Genevieve Ostmann, while Megan Hawkins and Julie Rubelmann combined to win the No. 1 doubles match.